Christine can quickly build a positive relationship when training our equine partners. She develops a sense of trust, security, and respect. Perfecting the basics and building upon the movements help the horse develop the proper muscles and knowledge of the aids. 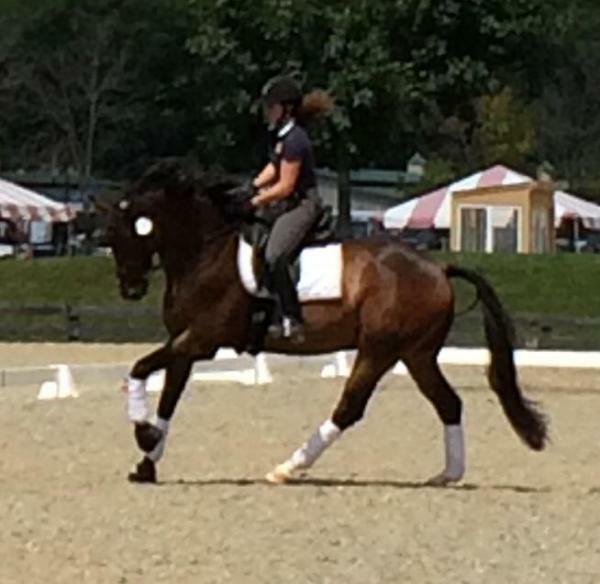 “Our equine partners should love what they do as much as we do and enjoy the play of dressage” – Christine’s philosophy. She works at ensuring the horses have a positive experience and strongly believes in rewards. -Full time training and partial training available. Christine’s strong riding foundation, kindness, and honesty make her a wonderful instructor. Her goal is to create a strong partnership between the horse and rider. The rider needs to be relaxed, consistent, and not interfere with the horse’s movement. The horse needs to be relaxed, supple, obedient, and forward in self-carriage. Christine provides great instruction on how to achieve these goals, positive feedback, and multiple techniques to aid in horse and rider performance. -Traveling to your location, private 45 minutes is $75 plus mileage and travel time. 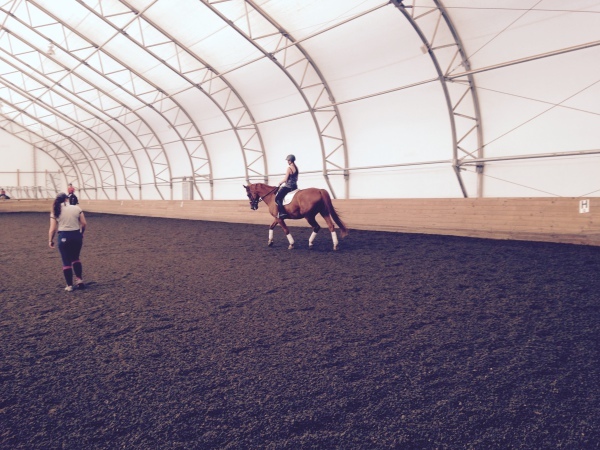 -Coaching and riding at competitions is also available. Options include having Christine compete your horse, coach you through your warm-up and classes, or do a combination of both. Some riders prefer that a professional ride the horse for the first class or day of competition, then recieve coaching the second day. *Please contact Chrissy to determine your unique experience and pricing options. *Discounted rates for horses or riders already in training with Christine. -Clinic dates are also available! If you are looking to bring in a clinician, especially focusing on amateur riders or young horses, please contact Christine for more information and scheduling.